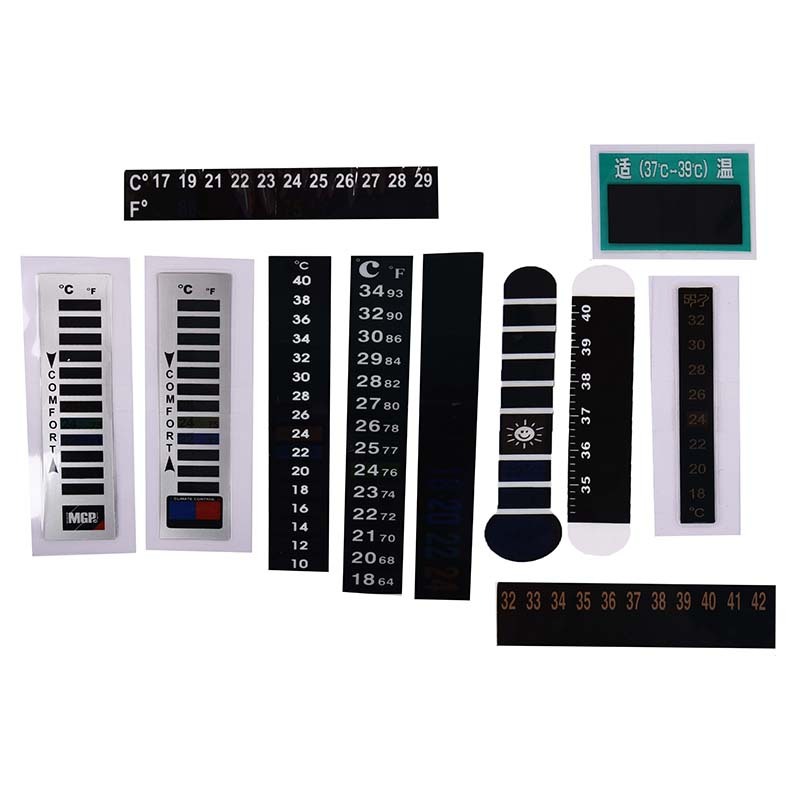 Product categories of Thermometer Label, we are specialized manufacturers from China, Thermometer Label, Thermometer Private Label suppliers/factory, wholesale high-quality products of Digital Thermometer Label R & D and manufacturing, we have the perfect after-sales service and technical support. Look forward to your cooperation! The principle of the Thermometer Label is very simple, it is the use of liquid crystals at different temperatures show the characteristics of different colors produced. The liquid crystal may change in color such as red, green, and blue in a predetermined temperature range, and different colors correspond to different temperatures. As the temperature is restored, the color is restored. Green is the current temperature, brown is imaginary, and blue is imaginary, hoping to help you. The thermometer label is a simple type of adhesive thermometer used in medical and industrial applications. It has a variety of features, wide application, and low cost. The thermometer label is a reversible-temperature component that changes color and cools back to its original color for sustainable reuse.